On February 20, 2019, the Merced Police Department received a call of shots fired in the area of 12th and R Street. Officers arrived and located a male suffering from a single gunshot wound. In addition, officers found that an occupied residence had been struck by gunfire. The 26-year-old victim in this case was transported to a local area hospital for treatment of his injuries. Shortly after the shooting, Merced police detectives began investigating the case. Detectives quickly learned that the shooting was gang motivated. 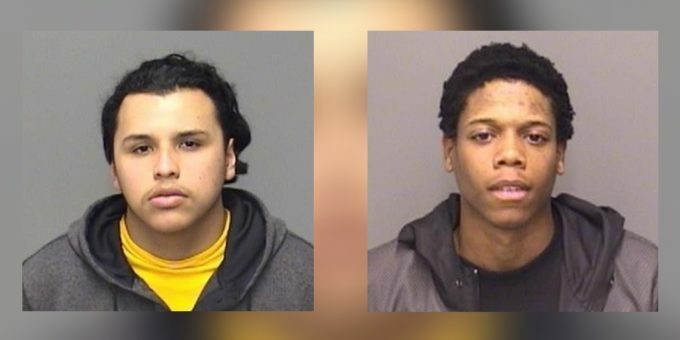 Detectives identified Norteno gang members 18-year-old Angelo Ornelas and 23-year-old Daniel Jones Jr as the suspects. Jones and Ornelas had targeted a rival gang member. On February 27, 2019, Ornelas was arrested and booked into Merced County Jail. Jones was arrested and booked a few days later. Both Jones and Ornelas were arrested on multiple felonies, including attempted murder and gang enhancements. Merced Police are asking anyone with any information regarding this crime to contact Detective John Pinnegar at (209) 388-7712. The public can send information via anonymous text messages to police department by dialing “TIP411” (847411) and including the word “Comvip” as the “keyword” in the text message.